So my mom loves Doctor Strange and wants to cosplay as him when we go to Avengers Infinity Wars. My sewing skills are nowhere near good enough to make such an intricate costume, so I was hoping to just buy her one. The quality of them... varies greatly depending on where they come from. 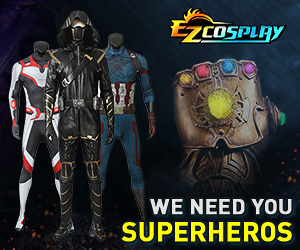 So I was wondering if anyone could recommend somewhere I can get a Doctor Strange costume that's accurate and good quality. I'm asking now so I have plenty of time to save up, I want to give it to her on mother's day. Thanks for the help!